Book Iceland tour, rent a car or book accommodation here. Each booking gives us a small commission which helps to run the magazine and keep it free. 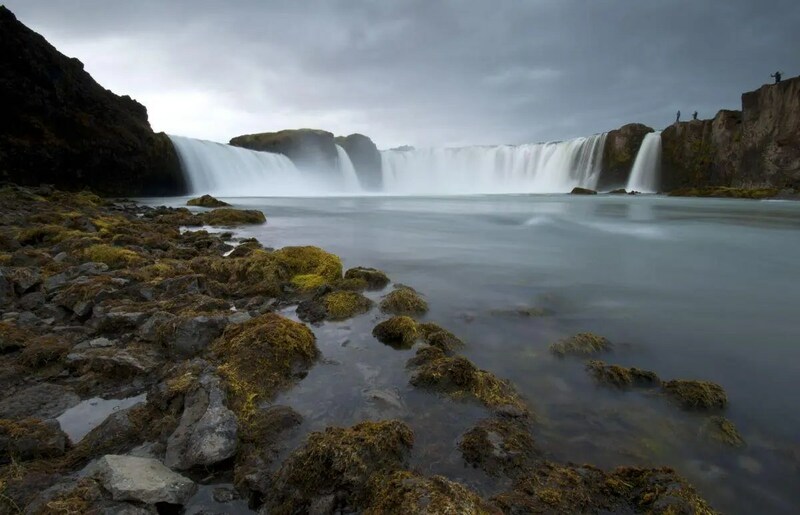 Recommended Iceland Tours – Book a Tour in Iceland Today! Iceland Ring Road Plan – Make Your Dream Come True! 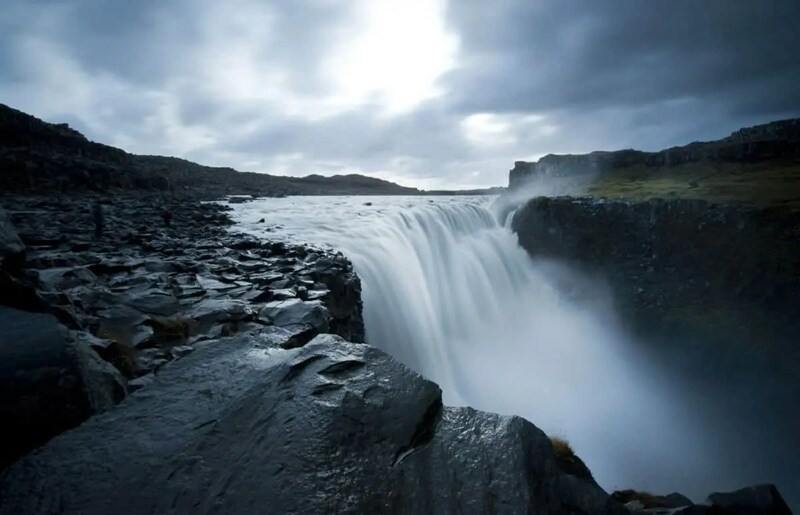 One of the highlights of the Diamond Circle itinerary is Dettifoss waterfall. It in the Vatnajökull National Park in Northeast Iceland. It is the most powerful waterfall in Europe. Words and pictures by Cyril B who has a fantastic fantastic photo page on National Geopgraphic and nice pictures on his personal website. My name is Cyril, I’m 37 years old and I’m Engineer in the aeronautics industry. I’m French but I have lived in northern Germany since mid 2012. I started photography in 2004 with a small compact camera bought at Lidl. At that time I was looking for a camera to use during my first travel. This was at the start of the digital age and I was not very demanding. Fairly quickly, I wanted to have something better. I got a Bridge Camera by Panasonic Lumix DMC-FZ30 for my very first trip in Iceland in July 2006. 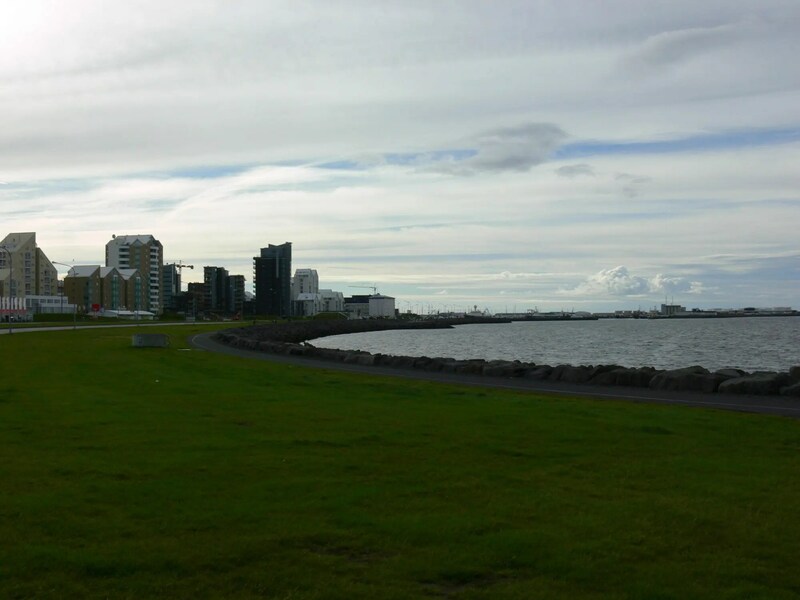 Here my first photo taken in Reykjavik. Absolutely nothing exceptional. In 2009 I got a Nikon D90 that I still have. I was very interested in panoramic photos and 360° but now that is changing. Regarding Iceland, what can I say, it was a blast, so AMAZING to us. There is nothing similar in Europe. I am so impressed by the colors and the nature which is present everywhere. Iceland combines magic, beauty, wildness and is probably dangerous for people who feel overconfident in their abilities to deal with it. It has Geysers, glaciers, coasts, so many waterfalls, the desert across the F26 road, monster trucks, the Blue Lagoon, wildlife, whales, Askja, puffins, well the list is too long.. In 2010 me and my friends wanted to see the eruption at all costs and we booked a tour with “Mountaineers of Iceland” On the day of our arrival, our tour was cancelled because the eruption stopped. Looking back now, I have to say it was very selfish because It was not particularly pleasant for local people living there to deal with this disaster and It would have been better to go there to support people. During my last trip I told to myself: “it’s going to be the last time here in Iceland. I have many other countries to visit.”But I knew I would be back. This year (October 2014) I decided to go yet again to Iceland. To be more precise, my destination was lake Mývatn on the North of Iceland. This brought the number of trips to Iceland to seven. I wanted to see an Icelandic volcano and once again I missed this opportunity! I tried every single day to get a flight with Myflug without success. Getting closer to the eruption in Holuhraun was impossible due to toxic fumes and the special permissions needed to go there. Too bad but I will try yet again. Even with these drawbacks, I spent time to see well known and wonderful waterfalls that adorn the north of Iceland: Godafoss, Hafragilsfoss and the mighty Dettifoss. Goðafoss waterfall is located in the Bárðardalur valley in the North-Central Iceland. Dettifoss waterfall is in the Vatnajökull National Park in Northeast Iceland. It is the most powerful waterfall in Europe. Hafragilsfoss flows downstream from Dettifoss. I took my stuff in my room and went to a place not too far from the hotel that had a good panoramic viewpoint. I started to shoot at random . OK OK wait a second, I have to find a place with clear sky. I checked the weather forecasts online to see where I could get a better view of the northern lights. OK, let´s go to Husavik. On my way to this town I stopped maybe twenty times. Stopped, switched off the lights, sometimes in the middle of the gravel road. I got the fear of my life at one time. I was outside the car with my camera when I heard the car door lock. I panicked as I had left the car keys had been left behind. I checked all the doors but they were all locked. Thankfully one of the windows was open enough for for me to able to catch the lock. Thank God! I told myself “never, ever ever forget your keys inside this kind of “smart car” which locks itself after a minute. 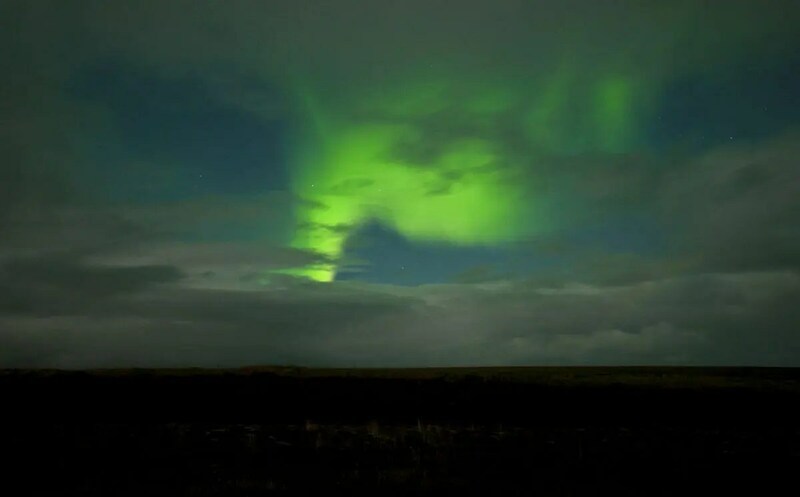 I hunted northern lights until 2:00am. I had an amazing moment when I was alone in the dark in middle of nowhere without any houses or cars for miles. It was awesome, frantic, fantastic, exciting. The photos I got are not so great but they are a great souvenir. The day after I went to the spa at the jardbodin.is. It was wonderful to soak there and relax. Once again, I had an excellent trip in Iceland even if I got a fine on my way back to Reykjavik. That’s so expensive! Ready for a Road Trip in Iceland? Support this blog by getting a great deal on renting a car from Budget. The right amount of time and good tour guide. Also you get tablet for digital listening which is GPS enabled and provides further detail but our tour guide spoke nicely and gave nice jokes as well as the good amount of information. See erupting geysers, visit hot springs and experience the majesty of the Gullfoss Waterfall. 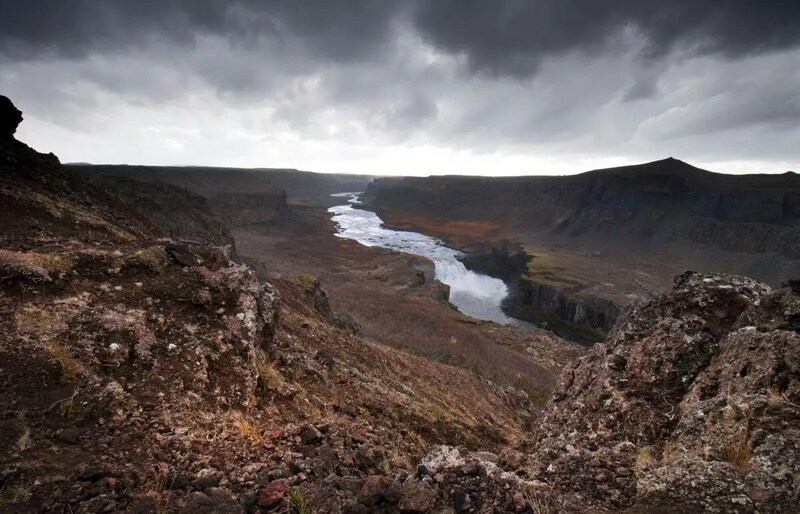 Follow in the footsteps of Vikings on a walk down the lava canyon in Þingvellir National Park, where the American and Eurasian continents have pulled apart. Stuck in Iceland aims to give you great ideas for places to see and things to do in Iceland. We hope you enjoy your Icelandic adventure. Book Iceland tour, rent a car or book accommodation here. Each booking gives us a small commission which helps us to run the magazine and keep it free. Since 2012 we have been helping people who want to experience Iceland plan and book their Icelandic adventure. We have interviewed dozens of travellers who have visited Iceland to get their unique perspective and advice on traveling in Iceland. Many travellers have sought inspiration from our articles on great destinations in Iceland.